According to the latest estimates within the smartphone supply chain, China’s top-three vendors are expected to ship a combined total of 500 million devices in 2017, or roughly one third of all global smartphone shipments. 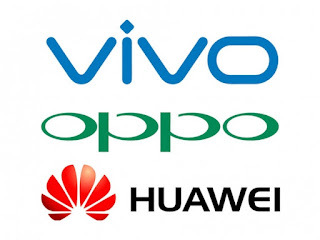 The information comes from sources within neighboring Taiwan’s smartphone supply chain, who estimate that Huawei is on track to ship 170 million units next year, followed by Oppo at 160 million units and Vivo at 150 million units. Huawei’s has shown strong performance throughout 2016, allowing its global market share to hover just under 10 percent on a quarterly basis. It shipped 27.5 million phones in Q1 at 8.2 percent of the market, 32.1 million in Q2 at 9.4 percent of the market, and 33.6 million in Q3 at 9.3 percent of the market. The company is on track to ship 126 million smartphones this year, and that number is projected to increase by 35 percent in 2017. Oppo has also shown some rather notable gains since the end of Q1 when it had shipped just 18.5 million phones at 5.5 percent of global market share. Those volumes increased in Q2 when it shipped 22.6 million phones at 6.6 percent of the market share. At the end of Q3, the company’s shipments increased to 25.3 million, or an impressive seven percent of global market share. 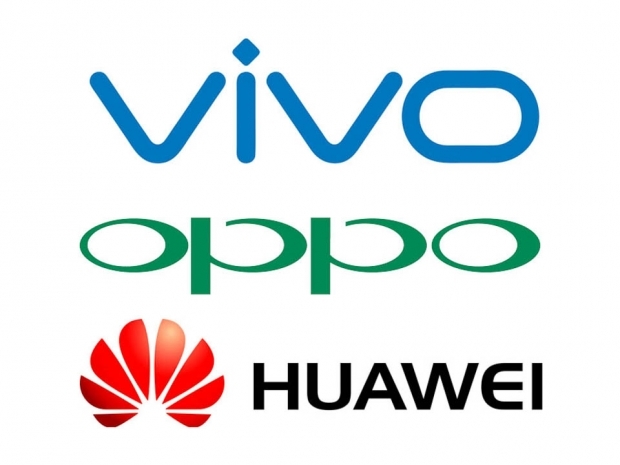 Vivo is the newest member of the bunch and was established in 2009, though it still managed to join the top 10 smartphone vendors by the first quarter of 2015 with 2.7 percent of the market share. Its track record throughout 2016 was also rather positive, starting at 14.3 million device shipments in Q1 at 4.3 percent market share, then climbing to 16.4 million shipments in Q2 at 4.8 percent. By the end of Q3, its shipment volumes jumped to 21.2 million at 5.8 percent of the market. Huawei has refocused its strategy on recapturing the top of the chart in Chinese market share after the title was lost to Oppo in Q3 2016. As we wrote last week, the China smartphone market was able to ship a stunning 112.3 million devices this past quarter, thanks in large part to subsidized pricing from the country’s three major telecom providers. Meanwhile, the sources note that Oppo and Vivo will focus more on increasing shipments of mid-range and high-end models to meet rising upgrade demands in emerging markets.